Dogs are unbelievable on many levels. They are unbelievably good companions for humans. Their beneficial effects on our mental and physical health are so numerous that they defy belief. They are unbelievably loyal and loving. And they are unbelievably silly. That last item — the silliness of dogs — is part of their charm. But it also gets them into trouble. 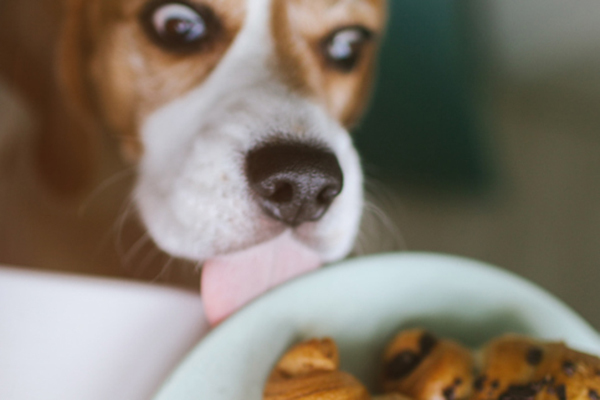 Dogs will eat the darnedest things, and many of these things can cause them serious harm. This article is dedicated to some common household items that are toxic to dogs that you may not even know you have around your home. In fact, some common household items are so toxic to dogs — and so attractive to dogs — that I recommend that they never be present in homes with dogs. Chocolate is highly toxic to dogs, so make sure you dog does not have access to it. Photography by Katie_Martynova/Thinkstock. Xylitol is an artificial sweetener that is purported to have actual health benefits in humans. For instance, it supposedly reduces cavities in people that use it in place of sugar. Dogs, however, reap no health benefits from xylitol whatsoever. In fact, xylitol can cause fatal hypoglycemia and liver failure in dogs. Dogs exposed to the stuff might require several days in the hospital for dextrose supplementation — and then might still suffer from fatal liver failure. I therefore recommend that dog owners keep their houses free of sugarless gums and candies containing xylitol. Although I’m a bit skeptical of xylitol’s human health benefits, I will concede that grapes and raisins are healthy and nutritious for us. Sadly, the same is not exactly true for canines. These fruits have been associated with lethal kidney failure in dogs. It is not clear whether the unidentified toxin is in the fruit itself, or whether it is produced by a mold that grows on the fruit, or something else altogether. What is clear is that some dogs will be in big trouble if they eat grapes or raisins. I recommend that your house be free of them, including the especially attractive (to dogs, and to me) raisin bread. Household pests certainly are nuisances. Gophers dig up the yard, snails and slugs destroy gardens, and mice and rats cause damage and contamination wherever they go. But the poisons designed to kill these pests also can kill dogs. Gopher bait liberates phosphide gas into dogs’ intestines, causing intestinal necrosis. A painful death can follow. Snail and slug bait causes tremors and seizures — again, a painful death can occur. Rat and mouse bait either contains products that prevent coagulation — leading to life-threatening hemorrhage — or a product that causes brain swelling and death due to neurological complications. An antidote exists for the hemorrhage-causing products, but they are being phased out in favor of the product that causes brain swelling and for which there is no antidote. All of these pesticides come in forms that are designed to be attractive to pests — and are therefore also attractive to dogs. Don’t keep them in your house or garage. Speaking of your garage, be aware that the antifreeze that might be stored there can be deadly toxic to dogs. It can cause fatal kidney failure. The main ingredient in antifreeze, ethylene glycol, tastes sweet and is attractive to dogs. All major antifreeze manufacturers have recently agreed to add bittering agents to their products to reduce canine and human exposures. However, older products might still be lurking and pose a significant risk. If you own a dog, don’t store antifreeze and don’t let your car’s radiator leak. Sago palms are beautiful ornamental plants that also are phenomenally toxic when consumed by dogs. Dogs that consume them might suffer liver failure, leading to vomiting, jaundice, loss of appetite, diarrhea, uncontrollable hemorrhage, and death. No house with dogs should contain sago palms. The final item that should never be present in dog-owning households is chocolate. Oh, who am I kidding? Dog-owning households will never be free of chocolate, and fortunately chocolate isn’t so dangerous that they need to be chocolate-free. Remember, however, that chocolate is almost as attractive to dogs as it is to people. It also is toxic to dogs, so keep it out of their reach. In addition to this list, there are several other items that, although dangerous to dogs, aren’t such a huge risk that you need to rid your house of them. Some household cleaning products are toxic to dogs. Photography by WilleeCole on Thinkstock. Most people don’t realize that dishwasher detergent (and many other detergents and fabric softeners) is much more dangerous for dogs than regular soap. The individually wrapped packets seem to draw more canine attention than big boxes of powder, but it all has the potential to cause harm. Dishwasher detergent can cause serious damage to the mucus membranes of the mouth and intestines. Keep it locked up. Although foxtails pose a risk wherever they grow, remember that many dogs are exposed in their own yards. I recommend that all dog owners regularly check their yards for these weeds. Remove all that are found. Myriad human medications are potentially dangerous to dogs. Both prescription and over-the-counter varieties pose a risk. Human medications always should be stored in an area that is inaccessible to dogs. If you have a big cookout, don’t forget that the garbage produced could pose a significant and nearly irresistible hazard to your dog. Rib bones, corn cobs, steak fat and more can be found in cookout garbage and can wreak havoc on your canine friend. I have to say it: if you have a dog, keep an eye on your stash. Although edible marijuana products are the most attractive to dogs, pets have been known to consume baggies of buds straight up. Marijuana toxicity usually isn’t fatal, but I am sorry to say that there have recently been reports of rare fatalities after consumption of medical-grade products. Finally, remember that dogs are unsurpassed in their silliness. This means that they will consume just about anything you can imagine — and many things that you can not. This list — and any list of hazardous items for dogs — is therefore by necessity a partial one. As always, diligence can be your pal’s best friend. If an accident happens and you need to find an emergency vet, click here. Are There Plants in Your Garden That Could Poison Your Pooch? 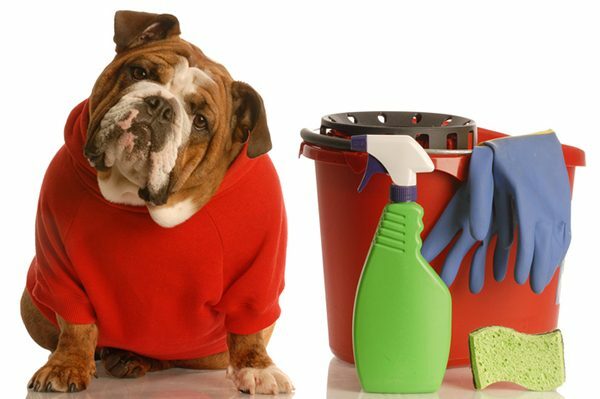 The post 11 Common Household Items That Are Toxic to Dogs appeared first on Dogster.